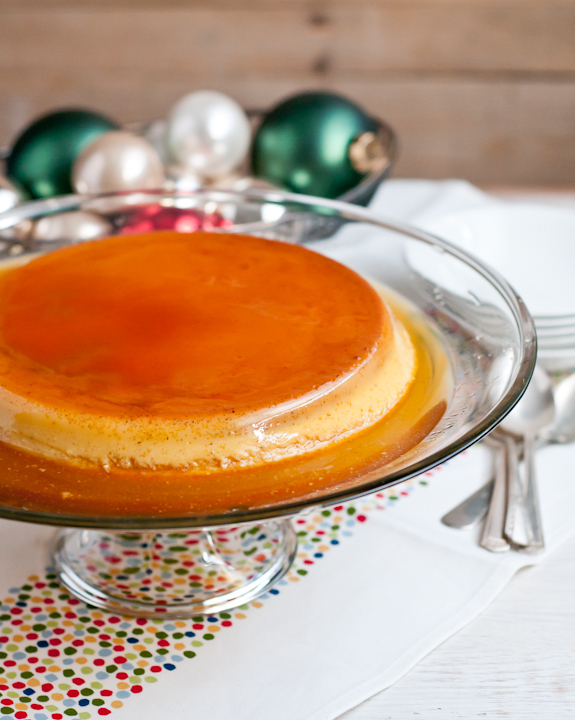 Here’s how to make an easy holiday recipe for eggnog flan for that last-minute dessert for any potluck Holiday party. 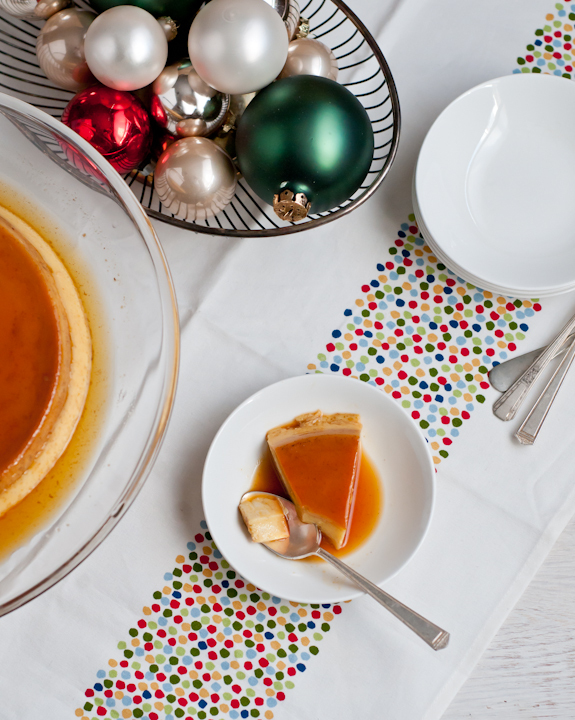 It’s a great egg nog flan that’s easy to pull together, tastes great, and bonus — it’s gluten-free! We love to make flan. It’s my husband’s favorite dessert. 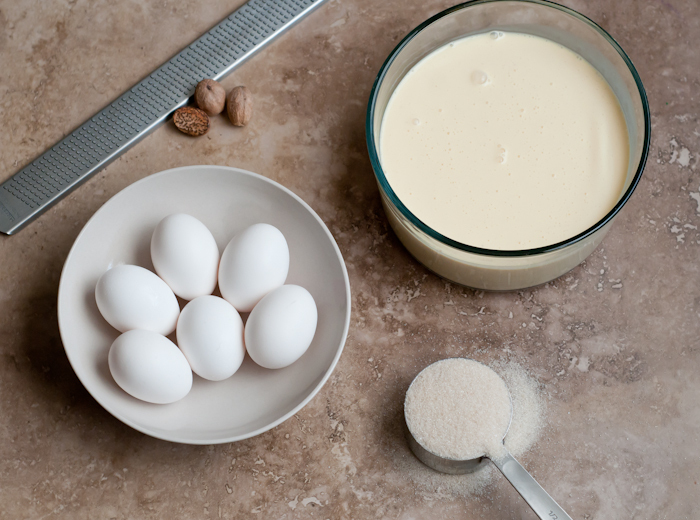 Seeing as this is the season for eggnog, I thought those eggy rum and nutmeg flavors would be great turned into flan. I added extra rum to the custard and the caramel because, why not? 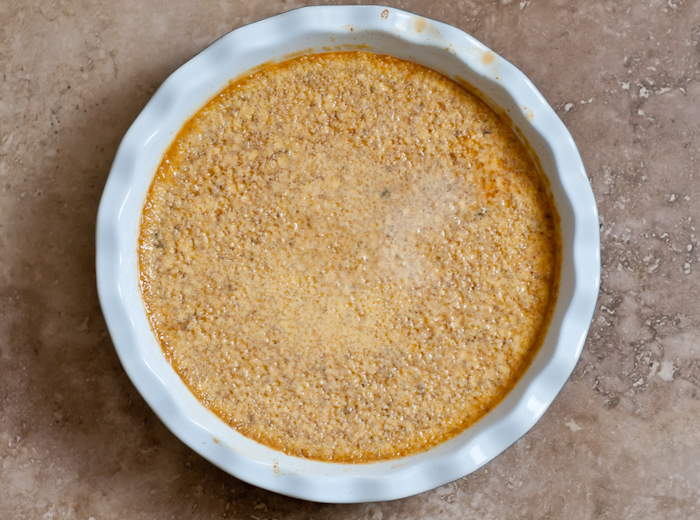 Baked custards can be a bit of a bother the first time you make one. Just be sure to bake your flan it in a water bath, i.e. the pie plate goes inside a roasting pan and is then filled with boiling water. This will keep the custard from curdling and it will also bake evenly. It does bake for a long time at a lower temperature. This is a good thing because it results in the silkiest, creamiest texture. You’ll know it’s baked completely when it just barely wobbles in the center. Preheat oven to 325 degrees F. Line a roasting pan with a thin dish towel and bring about a quart of water to boil. 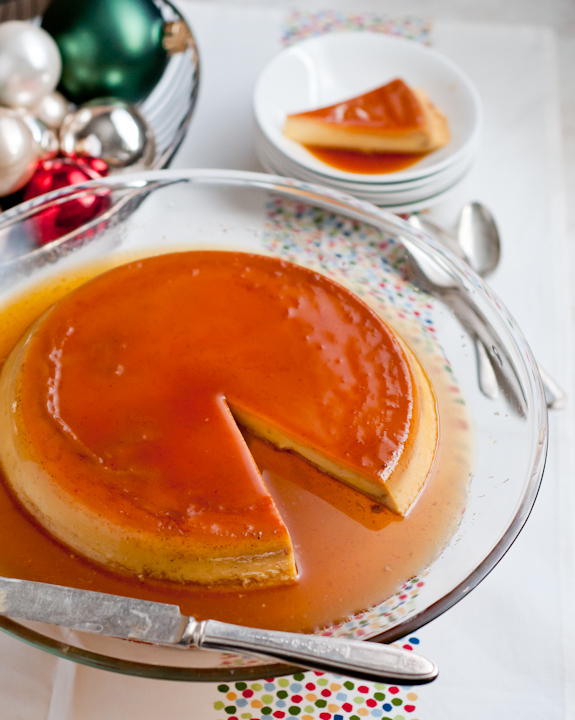 Whisk the ingredients for the flan together and pour over the caramel layer. Place the pie plate or cake pan on top of the dish towel in the roasting pan. Place the pan in the oven and carefully pour the boiling water around the pie plate, making sure none of the water goes into the custard. Carefully remove the pie plate from the roasting pan, making sure again not to get any water in the custard. Let cool on a cooling rack and refrigerate until cold, at least four hours or overnight. Run a thin knife around the edge of the flan to loosen it. Place a serving platter on top of the pan and invert to release the custard. 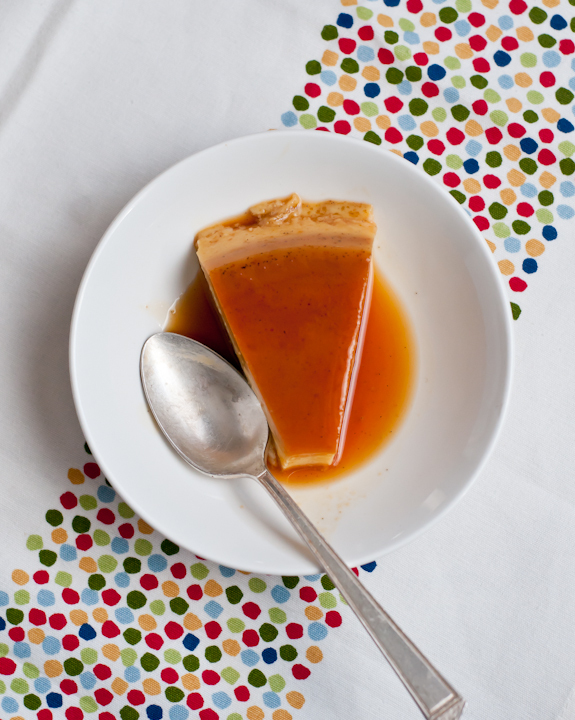 The caramel sauce should drip down the side and pool around the flan. holy divine. I’m still too chicken to try my hand at custard, but it certainly look amazing.